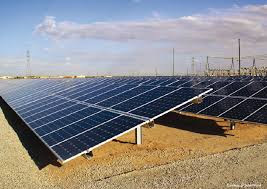 India added 5,525 MW solar power generation capacity last fiscal, taking the total from this clean source to 12,288 MW. The country has abundant solar power potential which has been estimated to be 748 GW, New and Renewable Energy Minister Piyush Goyal stated in a written reply to Rajya Sabha . It had achieved total cumulative solar power generation capacity of 6,763 MW in 2015-16. The capacity was 1,686 MW in 2012-13 which increased to 2,632 MW in 2013-14 and to 3,744 MW in 2014-15. In a separate reply, Goyal said the government has envisaged 4,800 MW from rooftop solar and 7,200 MW from large scale solar power projects in the country. India has plans to add 5,000 MW of rooftop solar and 10,000 MW from large scale solar power projects in the current fiscal, he said. Among states, Andhra Pradesh tops the chart with largest cumulative solar generation capacity of 1,867 MW as on March 31, 2017 followed by Rajasthan and Tamil Nadu at 1,812 MW and 1,691 MW respectively. Goyal said that in its submission to the United Nations Frame Work Convention on Climate Change on Intended Nationally Determined Contribution (INDC), the government has said that India will achieve 40 per cent cumulative Electric power capacity from non-fossil fuel based energy resources by 2030. It will be done with the help of transfer of technology and low cost International Finance which includes Green Climate Fund, he said.